To hear all of the songs on the album go to my CDBaby Page, iTunes or any streaming site. I moved to Asheville in 2004, joined a little cheap golf course and commenced to playing 270 rounds of golf in one year. My obsession was complete as you could imagine, new clubs, practicing all the time and eventually new songs. We were out playing a money game one day when a friend asked why I hadn’t made a golf album yet which awoke a new chapter in my life. I was now a “golf entertainer”. By the end of the round I had written eight song titles and by the end of the week the entire album was written and recorded. I got my band featuring Chris Singleton on bass and Jared Callahan on drums and we knocked it out in an afternoon. Little did I know it would lead to me being a golf radio host, talking to the legends of the game, as well as, an entertainer that would perform at golf events, hall of fame ceremonies and tournaments all over the place. Triple Bogey starts with the raucous “3 Putt King” romping it’s way through the mental anguish of not getting the ball in the hole in regulation. “I’m Stuck on the Bogey Train” is another rocking one and the song “Triple Bogey with 17 Holes to Play” tells a funny story about the tradgedy of making a seven on hole number one. “A Man Playing as a D-Man” is based on a true tale from the dogfight (weekly money game) at my hometown course Quaker Meadows and will get a chuckle out of folks who are familiar with the dynamics of those types of events. Throughout the album, there are funny interludes with phone messages from golf course pros and my wife calling to grill me for my golf course exploits. 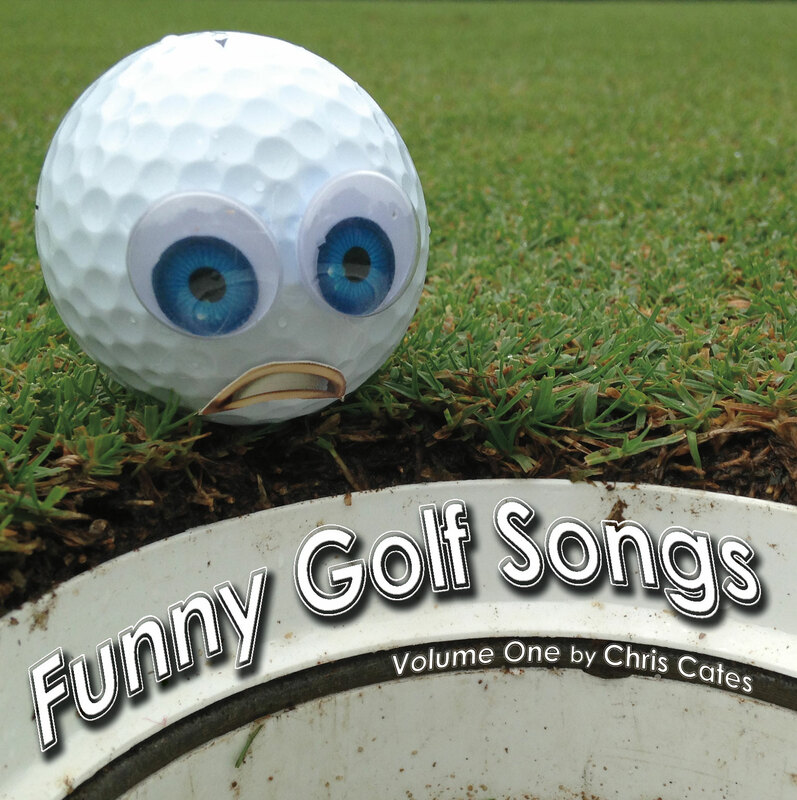 There are lots of other funny tunes like “Early Tee Time”, “I Try to Work but Golf get in my Way” and there is even a “touching” golf torch song called “Golf will Always be My Game”. To this day, this is my best selling album and people all over the world seem to buy or stream it. I guess the trials and tribulations of golf is painfully universal.